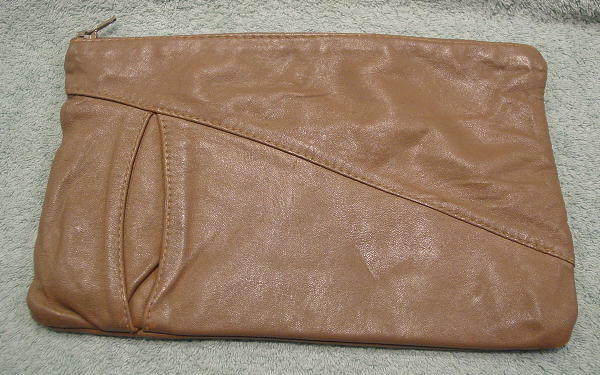 This vintage genuine soft leather clutch was made in Italy. 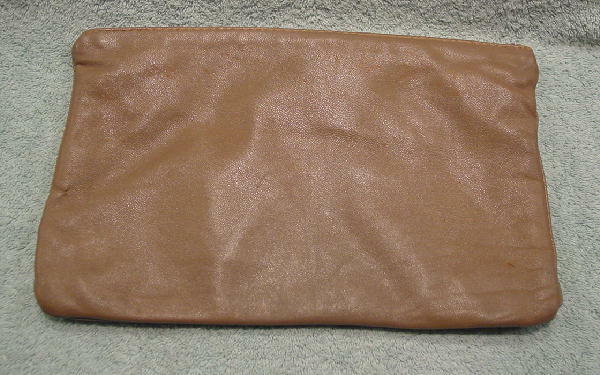 It's in a light taupe-brown and has a top side to side zipper. There is a dark brown leather lining. The back lower right has a scuff mark and the front has some color missing on the right edge of the oval open area and the four front corners.